Real Duck 4x14 Goose Large Dummy. $19.99. I inject scent into the dummy. Keep the dog from seeing its placement in the river/weeds, fire off a round and release the dog on a fetch. While it is a sturdy product, it also is just soft enough in to create teeth mark impressions, which allows me to understand the softness of the dogs mouth in specific situations. My lab is great on birds, but tough on dummies, so I wanted to try this firehose style. It is tough, but because of the flattened ends, it does not throw as far as the round-end dummies and tends to veer off line. I'll stick with the standard ones. 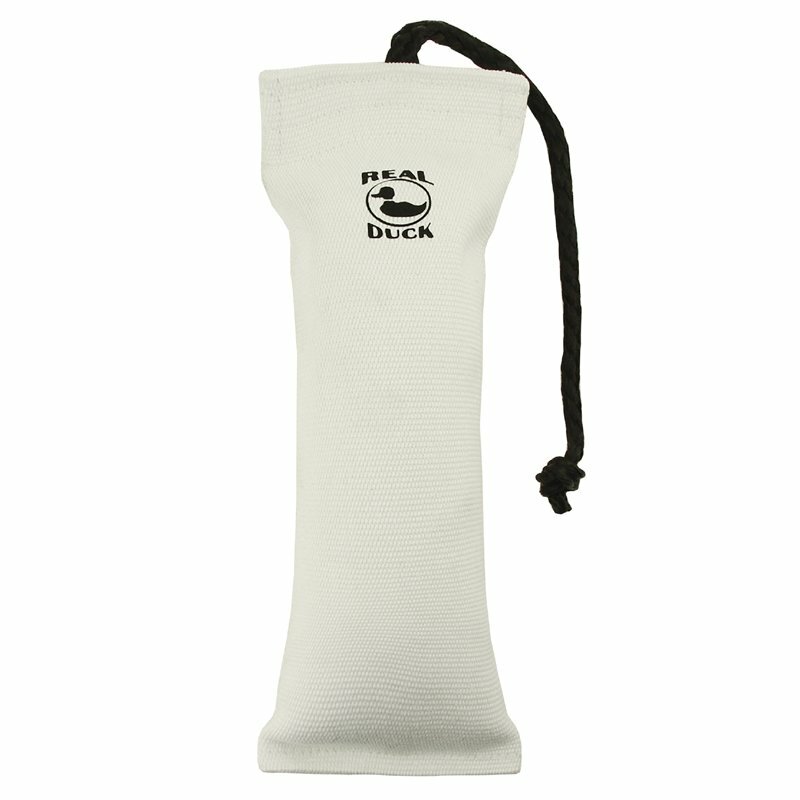 Real Duck Premium Dog Training Dummies have been engineered to provide you with excellent training results. They use a tough, rot resistant, woven polyester fire-hose jacket combined with the life-like feel of a pure granulated cork core. Every seam is double stitched and sewn in a rubber tipped polyester rope handle. The result is a premium dog-training bumper of quality and durability. The combination of the granulated cork and the weave of the fire hose gives Real Duck dummies a fantastic bird like feel that dogs love and also provide the perfect environment for holding scent. The cork provides excellent flotation and never absorbs water. The result is a training tool that you can count on. A dummy that is incredibly rugged, really holds scent and still feels and floats like a Real Duck. Made in the USA.